One of my favorite things to read about with classic actresses is how they maintained their good looks. How did Veronica Lakes hair always look so lush? What perfume did Jean Harlow seduce men with? How did Rita Hayworth maintain her slender figure? I am starting a feature that I will do the first of every month of classic actress beauty tips that I have read about AND tested. A section of the book discusses different beauty regiments and fashion favorites. Her beauty regiments were surprisingly simple and inexpensive. One beauty routine practice by Miss Turner was exfoliation with Boraxo powdered soap once a week. 1.) You put the Boraxo powdered soap in a bowl or in your hand. 2.) Make a paste by adding water to the soap. You can control how rough the soap is on your skin by how much water you add. For maximum exfoliation, add less water. 3.) Use on your face or anywhere else on your body for smooth skin. 4.) Only do this once or twice a week. If you rub your face too hard with the soap you might end up slightly red-cheeked from rubbing too hard. Using lotion afterward is advisable. To review, I really enjoy using Boraxo soap. It leaves me feeling smooth and refreshed, but careful not to rub too hard! *It might be best to buy the soap online. My grandmother was able to find Boraxo on sale at the Mass General Store in Boone, N.C. but I can’t find it Greenville, S.C. 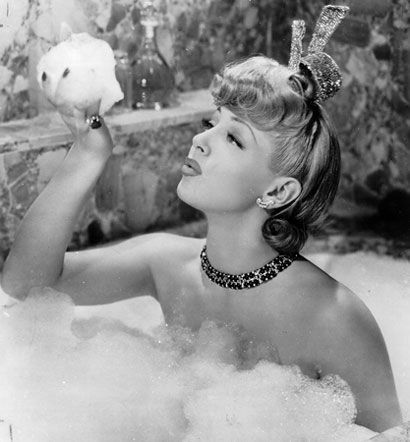 This entry was posted in Beauty Tips and tagged actress beauty tips, Boraxo soap, Cheryl Crane, exfoilation, Lana, Lana Turner, Turner, Ziegfeld Girl by Jnpickens. Bookmark the permalink. The only place I have been able to find this product was at an ACE hardware store. Other than that it was really hard to find even though it is a natural product. Yeh I have seen that ACE sells it in large bags or boxes. I have to buy some more soon because I’m actually about to run out. I guess I will either do that or buy it online. It seems like its sold more in rural towns. oh wow in another post I said that I thought exfoliation was a modern day thing…i had no idea. Is Boraxo the same thing as 20 Mule Team Borax Natural Laundry Booster & Multi-Purpose Household Cleaner ??? I am huessing because the boraxo has what appears to be many horses in the pic that is the same as 20 Mule Team Borax. Is that correct? Thank you. Yes, I think 20 Mule Team Borax and Boraxo or the same thing. I couldn’t find that specific brand so I just borrowed the Boraxo that my grandmother bought at a Mass General Store in North Carolina. I’m actually about to run out, so I’m either going to have to order some more from the website I linked to or buy some from ACE hardware-I know they sell it there in industrial sized bags. No, they are NOT the same thing. 20 Mule Team Borax is just Borax. Boraxo is a 50/50 mix of Borax and fine powdered soap. I would not exfoliate with 20 Mule Team Borax by itself. boraxo hand soap is not the same as the laundry detergent. I recently went to a dermatologist who recommended using Boraxo hand soap on my nose and forehead to unclog pores and help them close. Oooh I didn’t know there was laundry detergent! Mine is a hand soap as well. It advertises on the container how it can help get dirt and such off your hands. You can buy Boraxo Powdered Hand Soap at MyBrands.com. Do a search for Boraxo and it comes up. I buy it by the case. Some automotive parts stores carry the stuff. though, you’ll probably pay more for such!